Taiwan my wonderful home for two years. 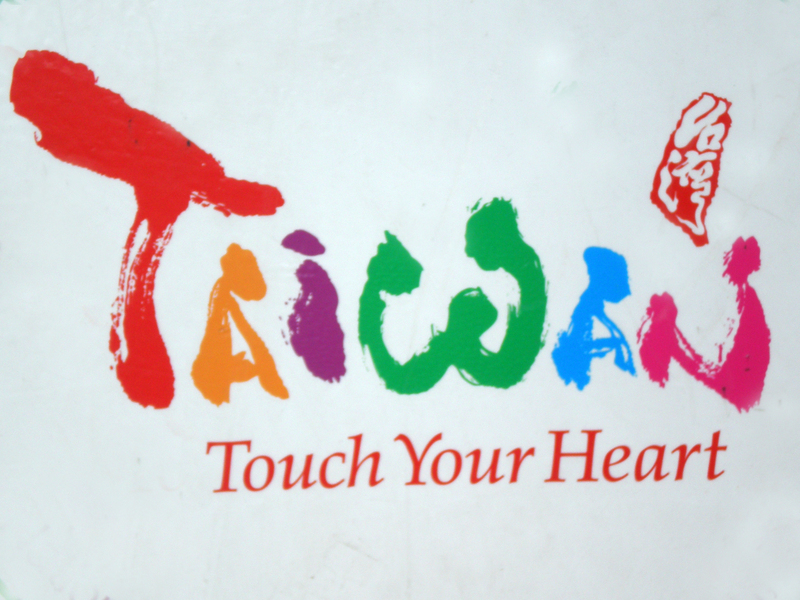 Taiwan – An incredible country, not really on the Western tourist trail yet….but it should be! 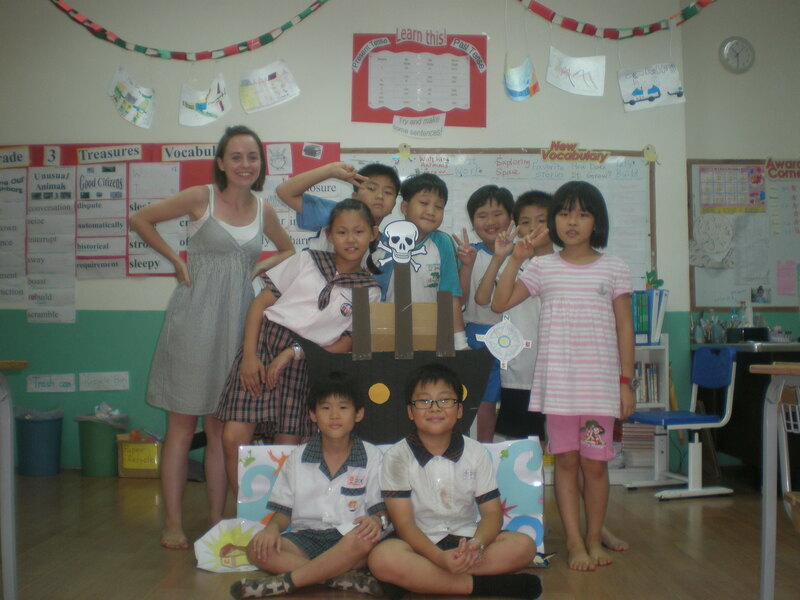 I taught English in the southern city of Tainan at Kidsland American English School. I had a fantastic two years teaching a wide range of students. 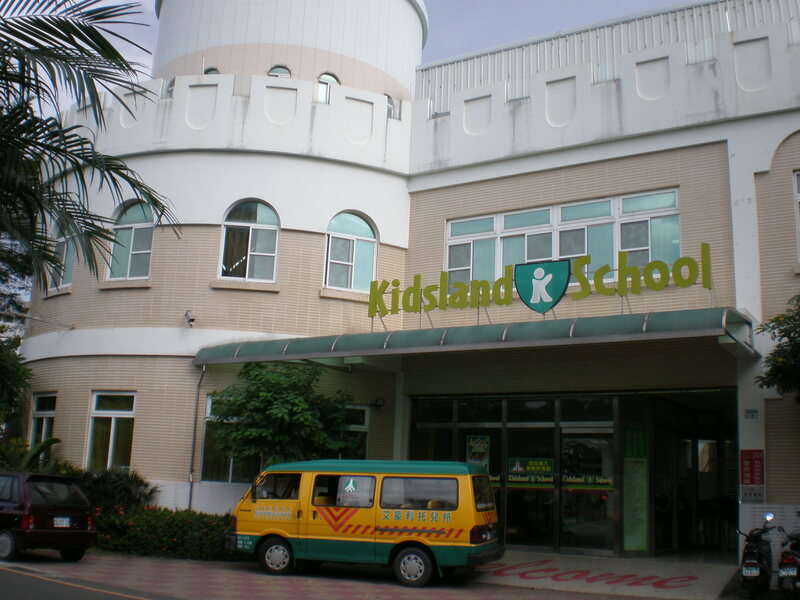 Taiwan – Tainan – Kidsland American English School, my school for 2 years. I had a Grade 3 class everyday of the week. We studied English using the Treasures Series (really fantastic books to help teach children English, lots of brilliant stories and topics covered). These students studied English full time at Kidsland America English School. They came to class every afternoon after completing their regular Chinese school day. I absolutely loved this class. It was dominated by noisy boys, there were only two girls in the class but it was still fun and I really grew attached to them. Taiwan – My Grade 3 Class. At the end of each semester we had to put on a demo in front of their parents. For this demo we did Peter Pan. I also had a kindergarten class one day a week. 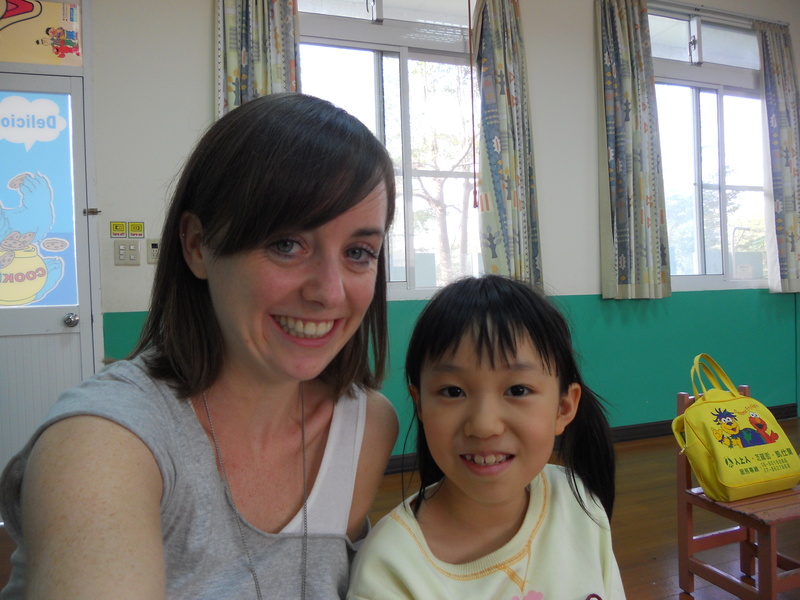 I taught a class with children aged 4 – 5 years old. This was a really boisterous class which meant I had to be really organised and plan my classroom management meticulously. Often I led with lots of games and activities. This was because the kindergarten classes were taught by Taiwanese teachers every other day of the week, so when it was the native English speaker’s turn, it was all about English games. 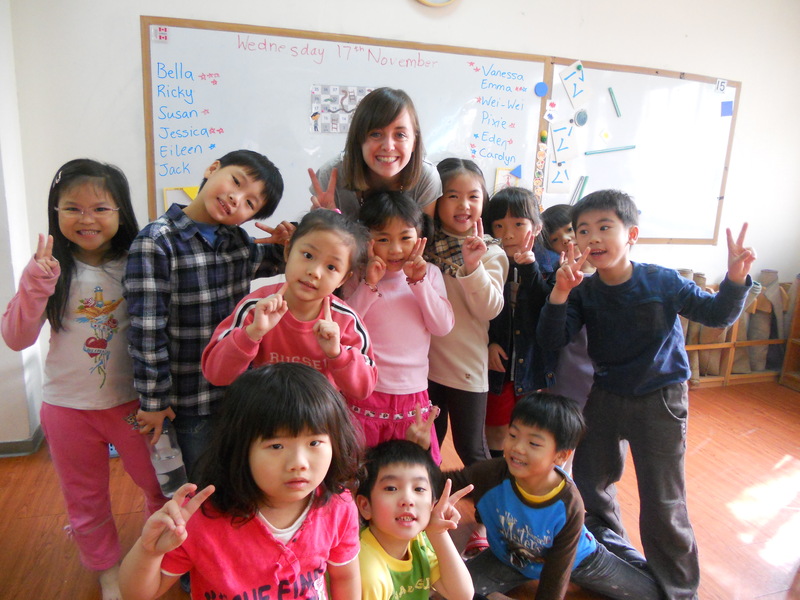 Taiwan – My kindergarten class…lots of energy needed for this! In addition to my main class I also taught private classes with individual students ranging from beginner level to advanced and also both children and adults. I had a number of students take part in individual English classes with me during the full two years I lived in Taiwan. Therefore I got to know them really well and we had a great time learning English together. Teaching students one-to-one is great. My private classes were often more flexible than the group lessons, I worked at the speed of the individual learner with tons of discussion. It can be tricky with one learner as you are always ‘on’ there is no break, you don’t have 15 other students ready to talk. However you get to know quickly exactly what the learner wants, needs and enjoys as you have each other’s undivided attention. Taiwan – At school with one of my private students. I taught Daisy for two years, she was a fantastic student. 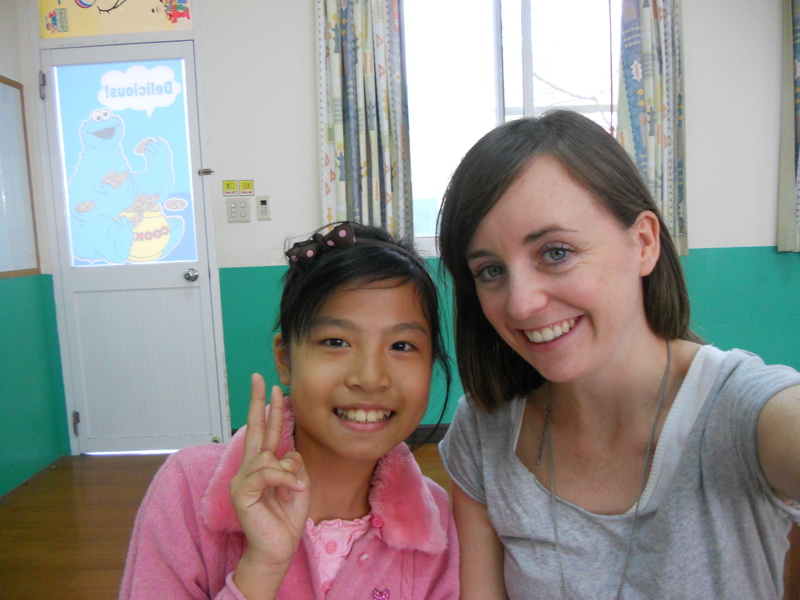 She started as a Grade 1 student, but she went to a bilingual school so she was far beyond Grade 1 level. Taiwan – At school with my private student, Sandy. I taught her for one year, she was a Grade 4 student. Taiwan – At school with Howard, a grade 4 student I taught in a private class for two years. For a year I taught a grade 5 class once a week. The class was made up of four girls and one boy. This was a particularly difficult class because of their age and the fact it was dominated by strong female characters. They just didn’t want to learn English anymore, all they wanted to do was their Chinese homework. Through a range of activities and slowly building a good rapport with the students I reduced their boredom and frustration with English language learning. In particular I always ensured that the lessons related to their lives, making the content relatable meant they became more actively envolved. Taiwan – The grade 5 class I taught once a week for a year. 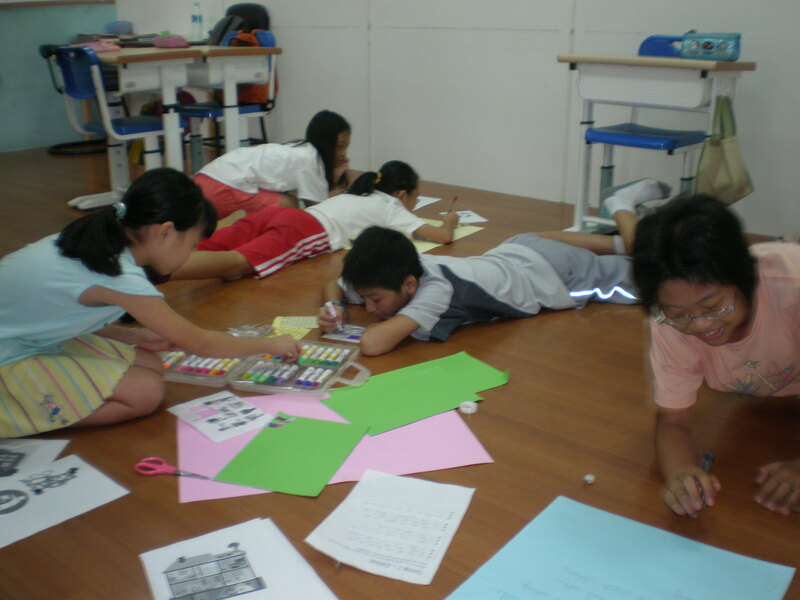 During the summer when my main ESL classes stopped I taught summer camps. This was also the case during the two week winter holiday around Chinese New Year when I taught winter camp. 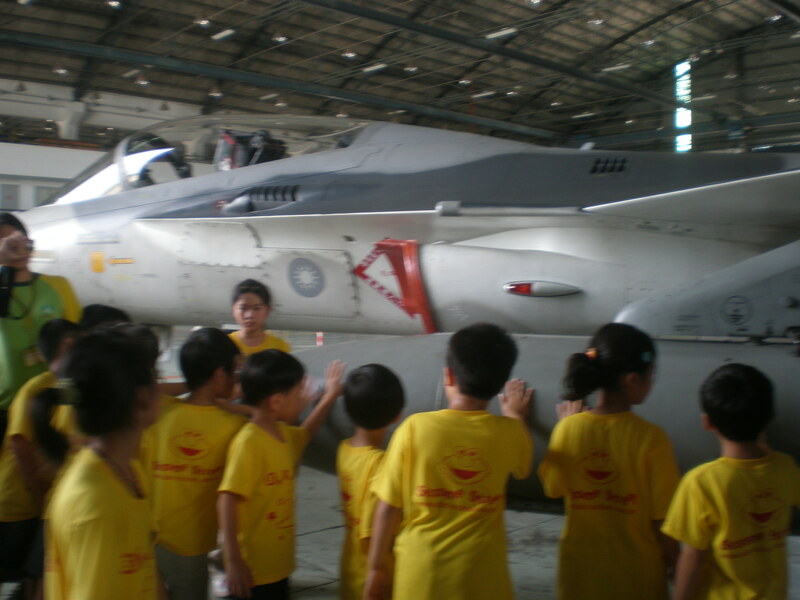 Taiwan – A summer camp trip to a transport museum. 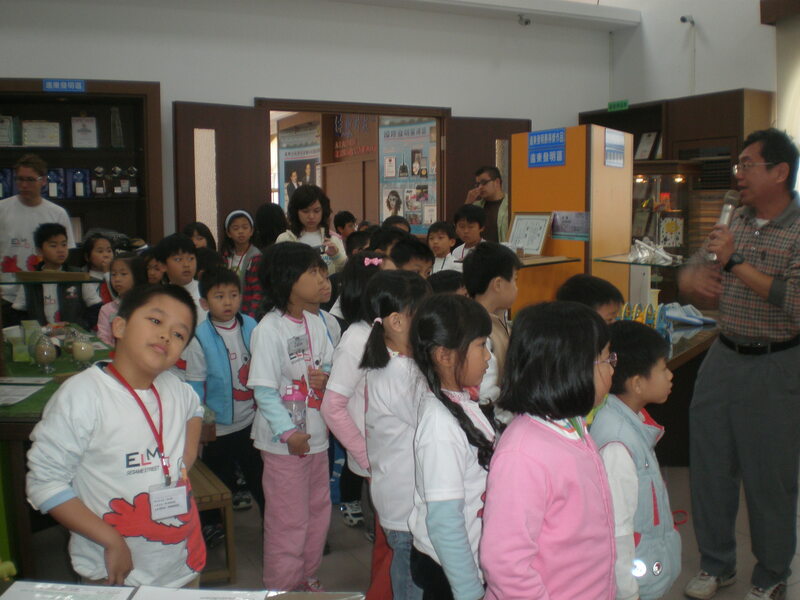 Taiwan – A winter camp trip to the science museum. In addition to teaching the camp I also helped create the school’s summer and winter camp programmes. This meant I designed the course, the topics we would cover and the resources which would be used in class as well as planning and organising the additional trips. It was great to have this extra responsibility and lead a team of teachers to create new and interesting content for the school’s summer and winter camps.